Nowadays, there are so many different types of senior living communities that are available. With so many options to choose from, there’s now a choice of picking a senior living community that resembles either a relaxing home or even a high-end luxury hotel. Because of these options, a number of seniors say that they have started to prefer living in such arrangement instead of being left at home on their own. One of the biggest reasons why many seniors prefer living in a community is because they no longer have to deal with the stressful task of home maintenance. Especially with all the physical ailments they may have acquired over the years, keeping a clean home can be a difficult struggle. They no longer have the energy to mow the lawn, change light bulbs, pull out weeds, shovel snow, vacuum the floor, or even just sweep it clean. Even though they may have been able to do these things while they were younger, the same cannot be said about their senior years. These tasks may seem menial compared to other things but for a senior citizen, it could be a real struggle. Apart from just dealing with daily tasks, there’s also the concern of preparing their meals and even keeping themselves clean and hygienic. In some cases, they might even require the use of adult diapers, which they will need to get help putting on and removing. Compared to these things, seniors no longer have to worry about these when they opt to live in a senior living community as everything will be taken care of by the staff of the property. Most senior living communities employ chefs to take care of the meals of those in their care. Others get the assistance of a chef to help them prepare the day-to-day meals of each senior in their vicinity. And considering the age and various different ailments that these individuals carry, it is best to have someone knowledgeable in preparing such meals take care of their food. Each senior in the community has his own meal prepared for him, according to his or her special dietary needs. This is something that may take some getting used to when keeping a parent at home. The staff responsible for the meals of the guests ensures that the food is not only healthy but also tastes really good. Most seniors who stay at home deal with boredom, especially when he is left on his own while the other members of the household go to work or to school. Instead of getting bored with just sleeping and watching television, seniors at a local community have plenty of other entertainment options and activities they can be part of. Most senior communities also have weekly visits from performers and musicians. There are also some that include day trips to a local art museum, landmarks, or a nature park. Things like these make it enjoyable to be part of a senior living community. Another perk of living in a community is that seniors get to meet and make new friends. Instead of staying alone all day at home (which is very unhealthy), they get to share their days with their new friends. They get to appreciate life more since they have new friends whom they can relate with. Since they get to live in a community where they are taken care of, seniors don’t feel they are being too much of a burden on their children at home. Especially since they know that their children already have lives of their own, they get to improve their relationships since they don’t carry that burden anymore. Instead of feeling resentment, they get to spend more valuable and meaningful time with their family members. 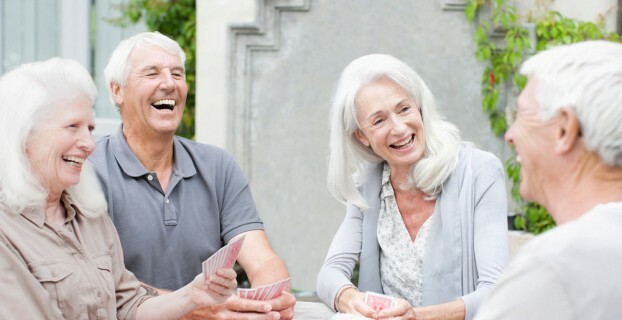 By being able to socialize with other people and participate in different games and activities, seniors get to feel like they are their young selves once again. They get to rediscover new hobbies, especially the ones they were never able to learn when they were younger. They also get to do more of the things they enjoy doing since these activities are readily available in the senior living community. And by being able to mingle with other people their age, they get to have a sense of involvement and that they are part of something. In a way, a senior living community is a better option for seniors as this helps them become healthier and happier. With these reasons, it’s easy to understand why more and more seniors are choosing these living communities than staying alone at home. Previous story What Are The Key Benefits Of Targeted SMO Services?